Is taking care of your car exhausting? A few tips to make car care easy! Owning a car is both a privilege and a responsibility, but with the average car on the road being just over 11 years old — a record high for vehicles — it may feel more like a burden than a gift. However, whether your car is brand new or over 10 years old, auto repair and maintenance are extremely important to keep in mind. With trips to your local auto repair shop becoming more and more frequent as your car ages, you probably want to make them as painless and efficient as possible. So with that, here are a few things to keep in mind when getting your car serviced. That might sound a little bit crazy, but in truth, nothing can help you more with getting quality auto service than knowing everything you possibly can about your car. Vehicle maintenance schedules often vary based on the make and model of the car, so knowing the details could mean the difference between a world of problems and a car that runs smoothly. For instance, if you determine your maintenance schedule based on how often the air filter should be changed, the time frame may vary based on the type of engine you have. Chevrolet recommends an interval of every 45,000 miles or so for their engines, but Ford recommends every 30,000 miles. 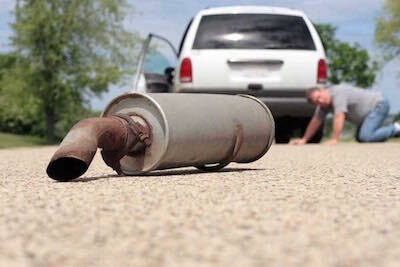 If you're familiar with this information, and with your car in particular, every trip to the mechanic will go smoothly. Engine maintenance is the lifeblood of your car, but you'd be hard pressed to get anywhere without tires. Most cars have a recommended air pressure listed for their tires, so checking your tire pressure regularly and adding air when needed will be extremely useful to you. In addition, you should be rotating your tires every 6,000 miles or so to ensure uniform wear and tear. However, if you're doing more intense driving than local roads and highways, you may want to keep an especially close eye on the state of your tires and think about getting your car serviced more frequently. Regardless, you should be checking your tires for baldness and other damage regularly, and replace them immediately if any damage becomes apparent. Without stopping power, you're in serious trouble. Your brakes are probably one of the most important parts in your car, and if anything seems to be remotely wrong with them, you should seek out auto repair services immediately. Most brake pads have a lifespan of about 20,000 miles or so, but knowing the specifics of your make and model will help you determine when it might be time to change them out. The worst thing you can do is wait until your brakes fail you, because that's just an accident waiting to happen. Getting your car serviced doesn't have to be a scary ordeal, or a stressful one. If you know your car and perform regular checks on things like tires, oil, and brakes, you should have an easy time at your mechanic.